When cooked correctly, steak is a satisfying feast unlike any other; with rich, juicy flavourings sating your carnivorous cravings. But a poorly cooked steak has its own special type of disappointment. So much so it can feel like your teeth are actually complaining as they chew through the charred, leathery slab of blandness. Or undercooked mass of meat if your tastebuds swing the other way. And its so easy to mess up steak if you aren’t a culinary expert. A minute off here or there and the whole abomination is fit only for the dog’s dinner bowl. And this is before even taking into account the variety of steak preferences. What is strange however is how often you will be served the wrong steak in a restaurant; an establishment where you have handed over a decent wedge of hard earned cash for the privilege of being let down. How can this be, and – most importantly – why? If you have ever wondered whether the restaurant has brought you the wrong steak deliberately, then you might not be as paranoid as the fellows diners hissing at you to pipe down insist you are. The New York Post has reported on an interesting new phenomenon, sparked by restauranteurs’ desire to chuck away less sent-back steaks. 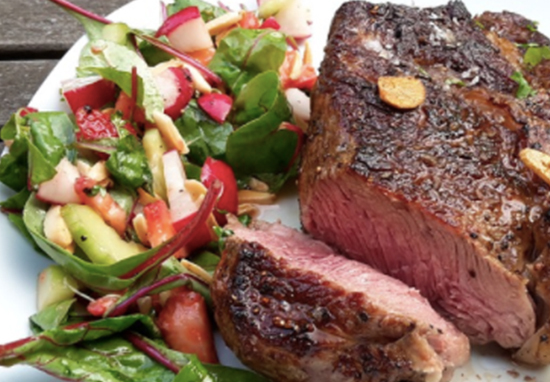 Rather than risk having a customer send back an unsalvageable steak – one over cooked for their liking – many chefs will now swing the other way entirely; serving undercooked steaks which can be tossed back on the heat if needs be. The norm has become [for customers expecting medium-rare] to order by a new term, medium-rare-plus, because people found their steaks were arriving undercooked — like rare-plus. High rents, labour costs and tough competition are all stress-inducing ingredients contributing towards this not-so-rare occurrence. Right now I’m buying choice rib-eye [from ranches such as Creekstone Farms] for around $8 a pound, It was $6 two years ago. The New York Post also spoke with the owner of the TBar Steak & Lounge, Tony Fortuna, who explained the pricey consequences of a customer sending back their over cooked steak. Fortuna claimed how just one 24-ounce, dry-aged cut of rib-eye sets him back a gulp-inducing $34. Its no wonder restaurant proprietors are looking for ways to keep the wasted, expensive meat from piling up. There are of course other contributing factors as to why your steak is appearing on your table while still moo-ing. Many modern chefs have chucked out their meat thermometers, choosing to judge the rare-ness by feel alone. Another reason is because rarer steak is viewed to be the proper way to do things, with overcooked steak frowned upon by those in the know. This is because the punctures created by thermometers can lead to juice seeping out, reducing the lip-smacking flavour of the meat.